April 19, 2017 — A Tesla Autopilot lawsuit alleges Model S and Model X owners haven't received the safety features that were supposed to be included in the Enhanced Autopilot AP2.0 software. According to the class-action lawsuit, Tesla sold about 47,000 Model S and Model X vehicles in the fourth quarter of 2016 and first quarter of 2017, all with safety features that don't work. The Autopilot lawsuit alleges Tesla missed numerous deadlines to roll out its "Standard Safety Features" that include automatic emergency braking, front collision warning, side collision warning and auto high beams. Tesla told customers the features would be available by December 2016 and available through over-the-air updates, but the plaintiffs say none of those features even exist. 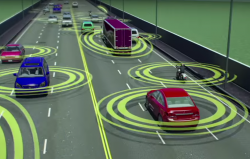 In addition, a feature called Traffic Aware Cruise Control is available, but the lawsuit says the system is "dangerously defective." Tesla also allegedly promised that its Enhanced Autopilot software would be rolled out in December 2016 but the automaker missed the deadline and then allegedly modified the wording on its website, removing any previously disclosed deadlines and time frames for the Standard Safety Features or Autopilot. But the Autopilot lawsuit alleges neither statement was or is accurate. The Standard Safety Features were not available in December 2016 and in the months since, customers have been taking deliveries of cars under these promises, only a "dangerously defective" Traffic Aware Cruise Control system and a limited front collision warning (with no auto-braking) have actually rolled out. 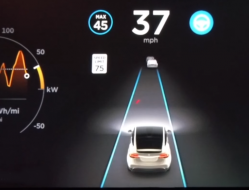 The plaintiffs claim the remaining Enhanced Autopilot features are still missing, even though those features are standard on many cars costing less than half of a new Tesla. According to the plaintiffs, they paid $5,000 extra for Enhanced Autopilot with features that don't work, with some owners complaining the systems they did receive are very unstable. 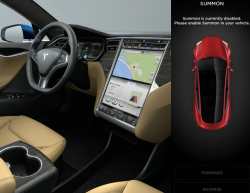 The Autopilot lawsuit mentions stories from Tesla owners concerning the AP2.0 software. “That driver also describes a situation where ‘[y]ou can be sailing along at 50 mph and the radar spots [an approaching] bridge and immediately slams on the brakes.’ ‘The other extreme is that you approach a stoplight with a car already stopped, and the Tesla doesn’t apply the brakes at all,’ said the driver. ‘It’s really a pretty scary experience,’ he said." The Autopilot lawsuit alleges Tesla's website says Enhanced Autopilot is available for $5,000 if ordered pre-delivery or $6,000 if ordered later, but the plaintiffs claim they wasted their money for nothing. In addition, the plaintiffs claim Tesla must have known how deeply flawed and untested the Autopilot software was and remains. 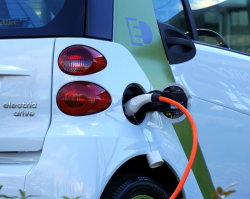 The lawsuit alleges owners wouldn't have purchased the Tesla vehicles, or would have paid thousands less for them, if those owners would have known about the Enhanced Autopilot systems. Saying that Tesla's marketing was "all smoke and mirrors," the plaintiffs claim Tesla knew when it made promises about the new Autopilot that it didn't have the ability to complete the deal, causing tens of thousands of consumers to be deceived. 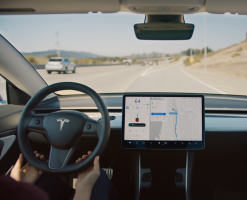 The Tesla Autopilot lawsuit was filed in the U.S. District Court for the Northern District of California San Jose Division - Dean Sheikh, John Kelner and Tom Milone, et al., vs. Tesla, Inc. The plaintiffs are represented by Hagens Berman.